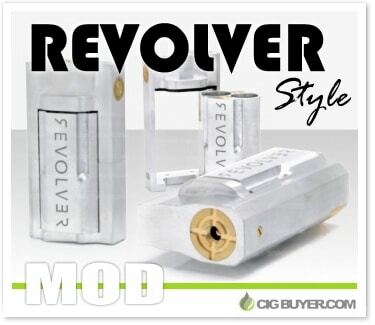 Another eye-catcher from GI Mods in the Philippines, the Revolver Mechanical Box Mod is a sweet looking unregulated device that’s made out of aluminum with all brass internals. It gets its name from the rotating battery bay that’s setup like a revolver, housing dual 18650 batteries that are configured in parallel for pumping out some seriously impressive clouds. All of the parts are detachable with a brass 510 plate and a large brass firing button with GI Mods engraving. It’s sleek, aggressive… and truly unique!